Vitec Group brands Vinten and Sachtler, creators of the super-quick and versatile Flowtech carbon-fibre tripod, have announced the launch of a new ground spreader for their flowtech75 and flowtech100 tripod models. The Flowtech carbon fibre legs are quickly becoming an industry standard kit in the world of small-crew ENG, corporate, and documentary gigs mainly due to their robust and innovative construction. 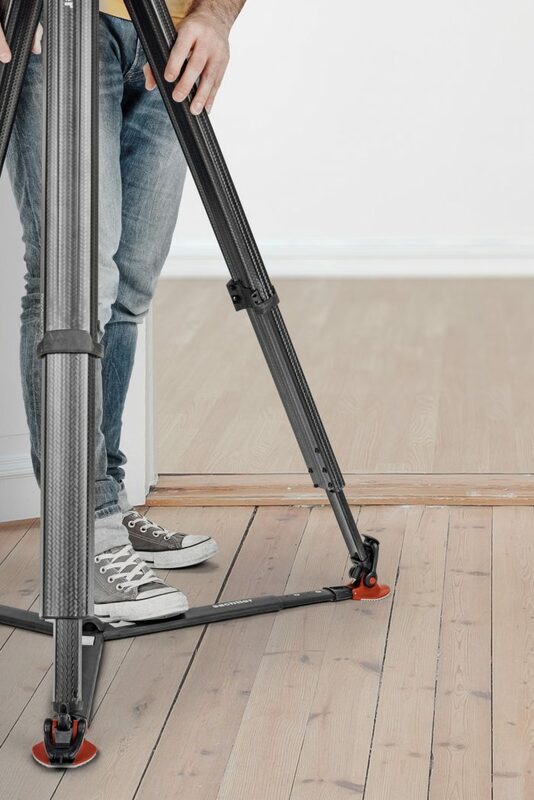 The fast-deploying spreader connects the three tripod legs at ground level for added stability on even terrain. 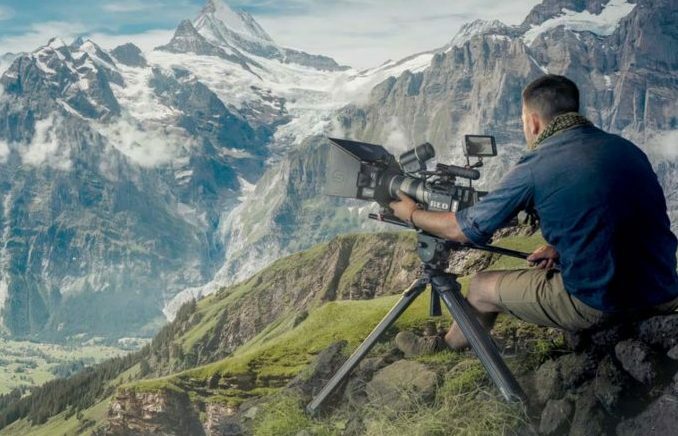 Some of the first pro’s to get hands on the new spreader were the camera operators from AsiaWorks, a leading independent media company with locations in Bangkok, Beijing, Singapore, and Jakarta, which used it with their Flowtech 100 tripod. The team leveraged the gear during several events in late 2018 throughout Singapore, including the New Economic Forum, the Fintech Festival, and several ASEAN Foundation events. The flowtech ground spreader weighs around 800 grams (1.80 pounds) and features a built-up radius of 38-57cm (15-22.4 inches). The new ground spreader can be purchased individually or as part of a tripod and system package, but there is no pricing yet on the spreader itself. Up until now, you could get the flowtech 75 and 100 only with a mid-level spreader, but now you can contact your local Vinten/Sachtler dealer and get a quote for more accurate pricing for a package with the new ground spreader.